Peyoti for President, originally from London, has relocated and is now based in Barcelona. The band's leader, British-born Pietro DiMascio is a well-known performer, but increasingly, a well-known producer and composer. 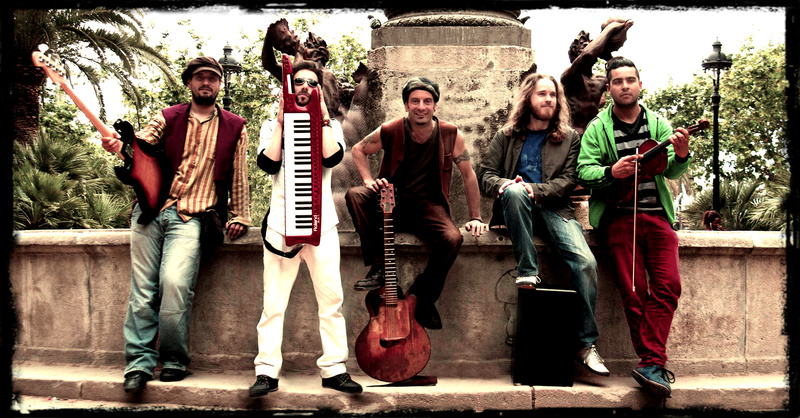 The live band fuses all types of styles, including rumba, reggae, samba, rap, ska, Latino and even African rhythms, in a collage of colorful, diverse music with a positive message of self-empowerment, with a style guaranteed to make you get up and dance. 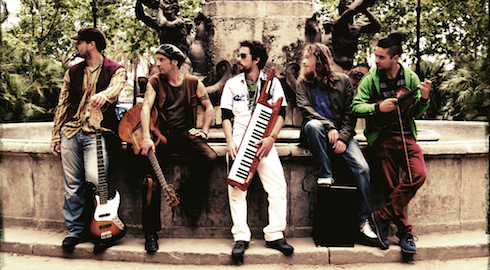 The band has played alongside such acts as Gogol Bordello, Manu Chao, Iggy Pop and Massive Attack. Their song, ‘We The People’, was a top 10 recommended summer download (The Independent Newspaper) and an underground hit in Germany and the UK. Described as ‘the spirit of punk, the heart of the 60’s protest movement and the soul of the black panthers..’ Peyoti for President are BACK! Peyoti for President were requested by Manu Chao to be the opening act for the La Radiolina tour, 2007. Sordid Soup Records became the bands record label and Rough Trade stepped forward to handle distribution. BBC radio play covered national and regional stations with success in Germany & UK specifically targeting alternative and university radio stations. Many festivals including Rockwave, Przystanek Woodstock & Glastonbury hired the band to thrill audiences and the band played main-stage alongside Iggy Pop, Ska P, Ojos de Brujo and many more. Between 2009 and 2011 there were 7 official releases and a number of exclusive (unofficial) download recordings. In the summer of 2013, whilst passing the hot, sticky days by the sea and the warm humid nights in various old-town bars a new batch of songs and collaborations with local musicians of all designs and backgrounds finally tipped the scale and so Peyoti for President metamorphosed (once again) into a new reincarnation. Collaborations with various international musicians, diverse instrumentation, new songs and a new band have emerged.